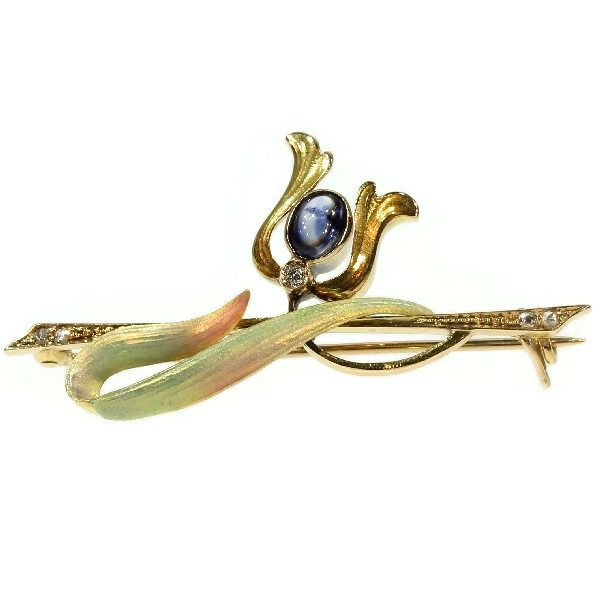 Enameled Art Nouveau brooch with diamonds and sapphire: Description by Adin Antique Jewelry. 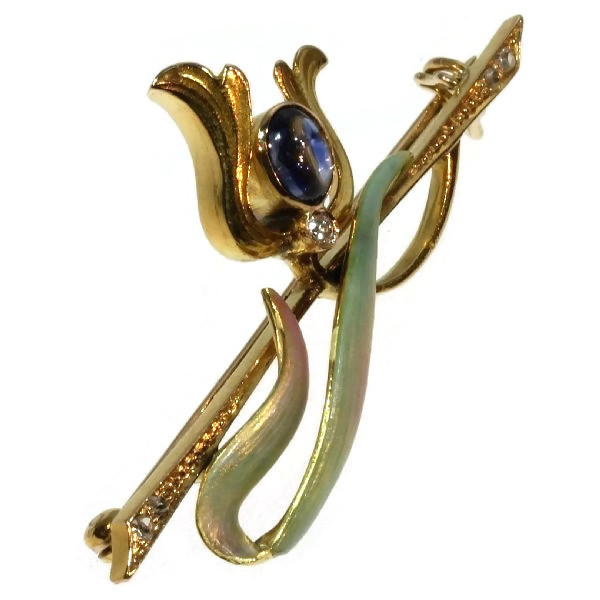 As the vernal tulip of this 18K yellow gold Art Nouveau brooch from 1890 whirls sprightly around the horizontal bar with widening diamond-encrusted ends, so glimmers its cabochon cut sapphire bud whimsically together with the green and pink translucent enamelled linear leaf. 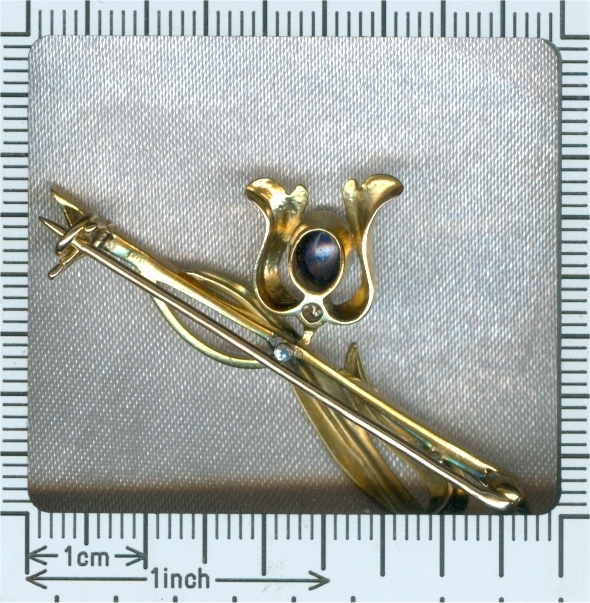 It's almost as if the two tulip petals sprouting from an old European cut diamond reach out to be plucked by you. Diamonds: One old European cut diamond with an estimated weight of approx. 0.03 crt. and four rose cut diamonds . 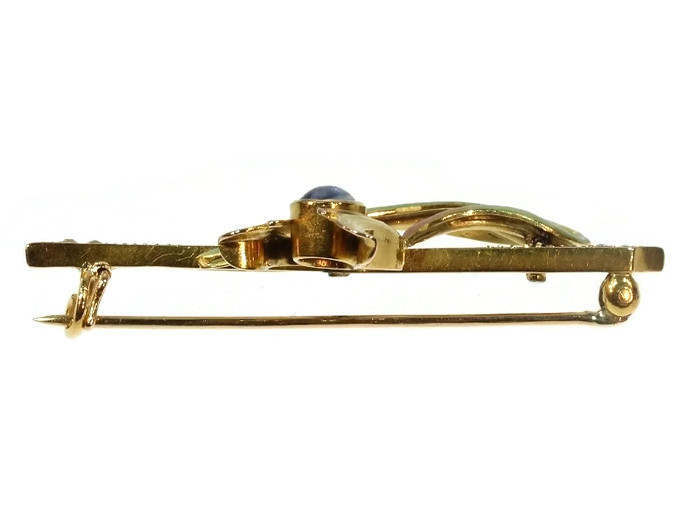 We do not have the weight of the diamonds which is normal in our trade when it comes to rose cuts.